I have a 55″ HDTV. The TV screen periodically goes black at random times and appears to be off. The sound still works and the power light is still illuminated when the TV screen turns black. Is this called the “Black screen of death”? I have checked all HDMI and COAX cables on back. I have switched the inputs to BLU-RAY and CABLE and the screen remains black. I have no issues with cables or inputs. I have to turn the TV off for 5 minutes and turn back on to fix the problem each time. My TV is out of warranty. How do I fix this? 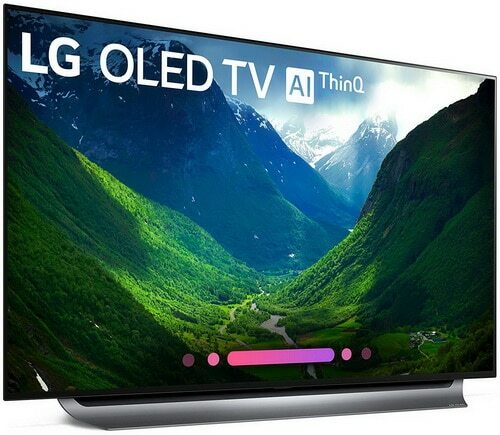 NOTE: Some troubleshooting steps may be different from your (Samsung, SONY, LG, Hisense, TCL, VIZIO) TV or remote control but generally will work the same to fix the problem. 1. Check that POWER SAVER/ENERGY SAVE MODE is set to OFF. Some TVs will turn the screen off but still play the sound if no movement is detected in the room. 2. Was SLEEP TIMER mistakenly turned ON? – Turn OFF. Sleep timer can sometimes be pressed on the remote and will turn OFF the TV. 3. Check that STORE MODE/DEMO MODE is not turned ON. Store mode or demo mode is a factory setting to be used for a display or demo. 4. 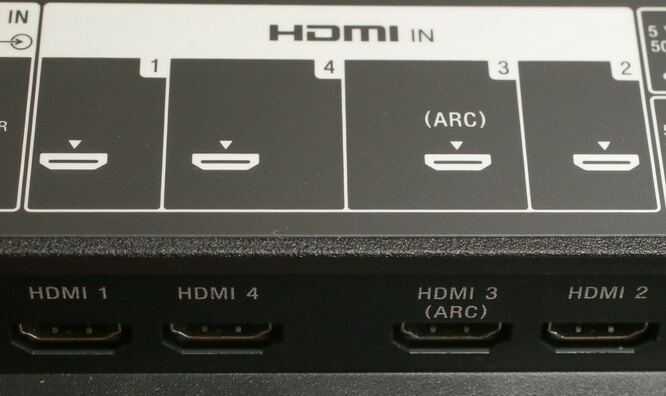 Use a different HDMI port for the component you are using. 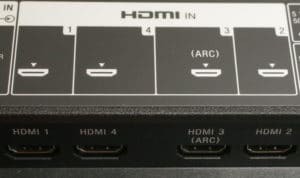 Unplug the HDMI from one input, and plug into a different input to test if port is bad. 5. Connect a different component to the TV or the same component to a another TV. The component being used (Ex. Blu-Ray/CABLE BOX) may be causing the black screen issue. 6. Turn the component (Ex. Blu-Ray/CABLE BOX) you are using OFF and then back ON. The component you are using may have a temporary fault and needs to be reset. 7. 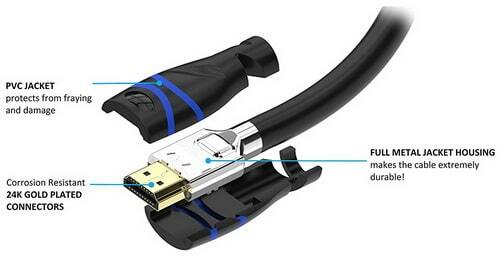 Hidden fault within HDMI cable – Replace with new cable. Replace the HDMI cable as it may have a short or other defect which causes the black screen issue. 8. Unplug the TV for 5 minutes to attempt a reset. Unplugging the TV will reset the television and clear any temporary issues. 9. Factory reset the TV to resolve the issue. Go into MENU and find FACTORY RESET – You will lose any picture settings you may have saved. 10. Download new software/firmware update. The present firmware may have an issue and need to be updated. MENU – FIRMWARE. Many times a firmware/software update will fix the TV and clear the Black Screen Issue. See below for links to the firmware pages for most brands of televisions. TV still not fixed? Continue reading below..
1. Pressing Menu button on your Samsung TV remote. 2. Navigate to SUPPORT and Press Enter. 3. Navigate to SELF DIAGNOSIS and press Enter. 4. Highlight RESET and press Enter. 6. The TV will then reset and reboot. – Follow the on-screen instructions to complete the initial setup when the TV powers back on. The TV will no longer show black screen or power on and off intermittently randomly. Be advised this reset method may not work for all TV models. 1. Check to find out if you can pull up the TV menu. If you can pull up the menu, this issue is coming from one of your sources. Check and reset all components/sources. 2. If you are NOT able to pull up the TV menu, update the TV firmware. – Test this TV in another power outlet. Please make sure this device is connecting directly to the wall outlet. – If your TV is not working properly, contact Samsung Support. Some TV owners have reported HDCP issues. This occurs when the handshake between 2 components has been lost. 1. Turn all the components OFF then ON again. This normally resumes normal operation and stops the HDCP issue. 2. Go into the TV menu and update the firmware to stop the HDCP issue. – HDCP (High-bandwidth Digital Content Protection) is an anti-piracy protocol built into the cable/component. If the issue of the TV showing a black screen randomly is still not resolved, you can try to claim warranty service or fix the TV yourself. In many instances this issue is caused by a bad driver board, LEDs, or possibly a faulty T-Con board in the TV. It may also be an issue with bulging capacitors or a loose cable or ribbon connector. You will need to take the TV apart and diagnose the issue. We do not recommend you do the repair yourself unless you know exactly what you are doing. You can watch assorted YouTube videos on how to fix a tv with a black screen. MORE INFO ON TVs – TV Has Different Color Vertical Lines On Screen – How To Fix? 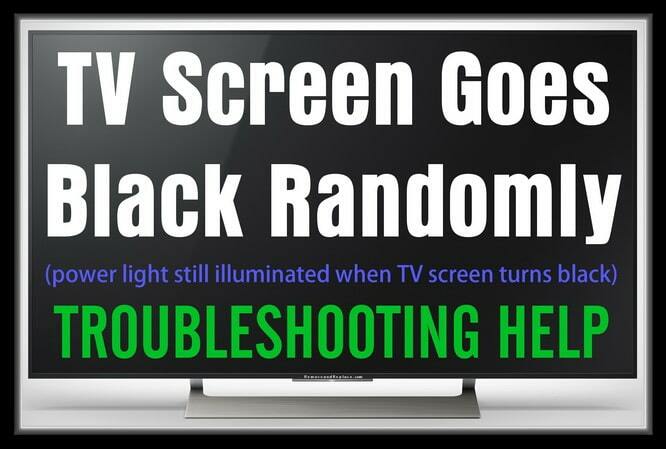 Still need help with resetting your TV to clear the Black Screen issue? Please leave your comment or question below and we will be happy to try and assist you.